This weekend the World Touring Car Championship will land at Sonoma Raceway for its second ever visit to American soil and I’m happy to say I’ll be there to see it myself for the first time. Like a lot of people from the USA I’m not terribly familiar with intricacies of international level touring car racing, but the more I learn about it, the more excited I’m getting about seeing the WTCC attack the windy, hilly road course at Sonoma. As one of four series operated by the FIA (the others are Formula 1, World Endurance Championship and World Rally Championship), the WTCC is truly global in every sense of the word. Its 12 events this year are spread across four different continents – ranging from Monza in Italy, to Suzuka in Japan. For 2013 the grid is made up of cars from five different manufacturers, mostly based on four-door production models and powered by 1.6 liter turbocharged motors with two-wheel drive. 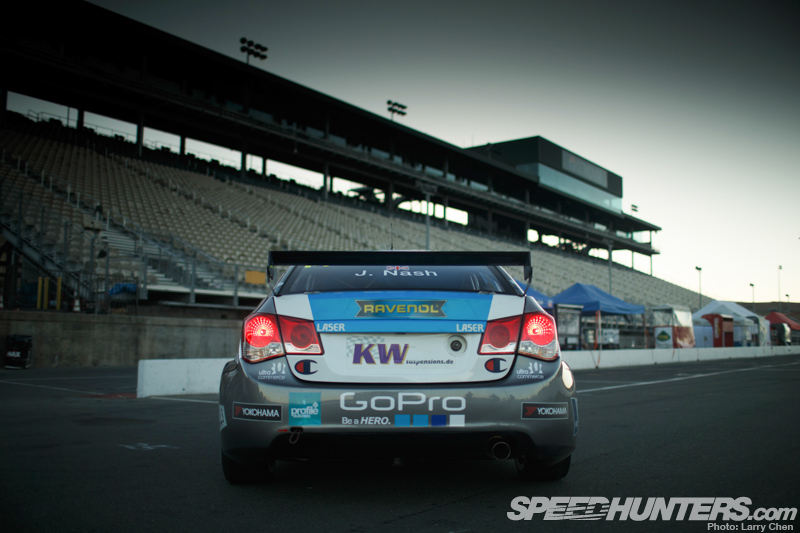 One of the cars that will be taking to the track in Sonoma this weekend is the Bamboo Engineering Chevrolet Cruze, driven by James Nash of the UK. 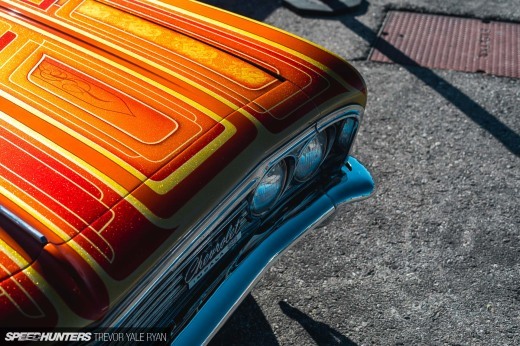 Larry Chen had a chance to photograph the car just hours ago, before it set off to compete this weekend in Northern California’s Wine Country. 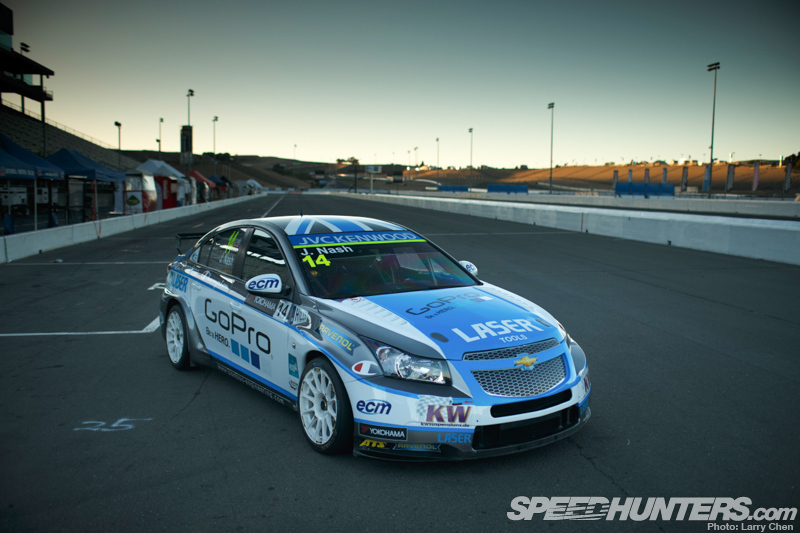 When you think about it, there really couldn’t be a better car to represent the WTCC than the Chevy Cruze. Although it wears the all-American Chevy bowtie, it’s really hard to find a car today that is more ‘global’ than the Cruze. The production Cruze rides on a platform that was engineered by a global team in places like South Korea and Germany, and the car is manufactured in the United States, Australia, Korea, Russia, Brazil and several other countries around the world. While some might see the Chevy logo and instantly picture it as an American automobile, I myself have a hard time selecting any single country of origin for it. To make things even more diverse, Bamboo Engineering itself is as British as it gets, with a race shop located right on the grounds at Silverstone. The team was founded in 2009 and competes in both the WTCC and in the GP3 open-wheel series. 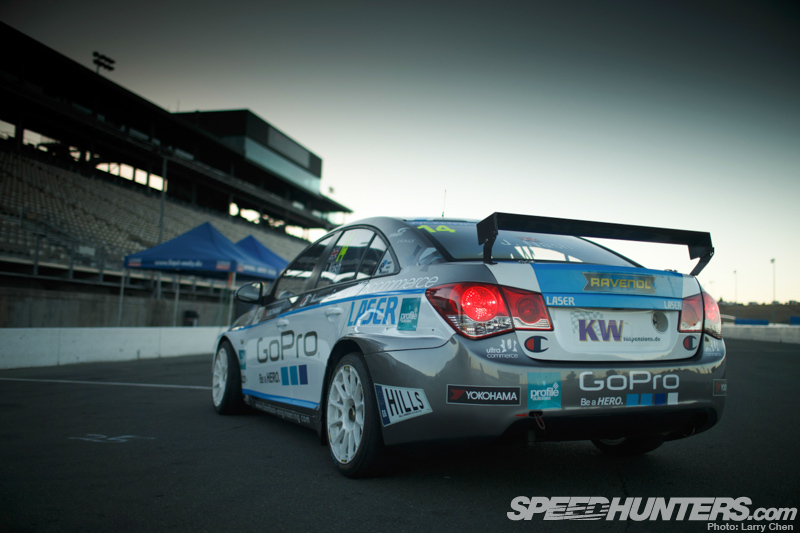 The team’s touring car experience began in 2009 with an entry in the British Touring Car Championship before switching over to the increasingly popular WTCC in 2010. 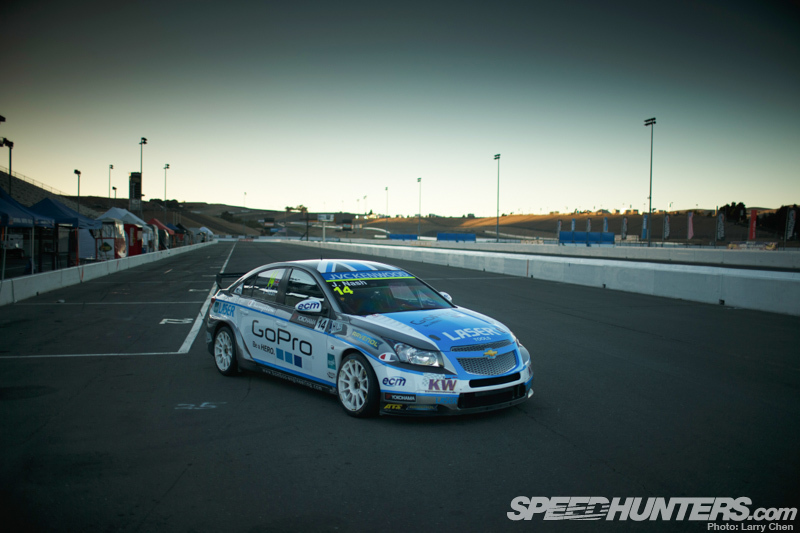 The 2010 campaign with the Chevrolet Lacetti brought home victories in three events, which was very impressive for such a young outfit. 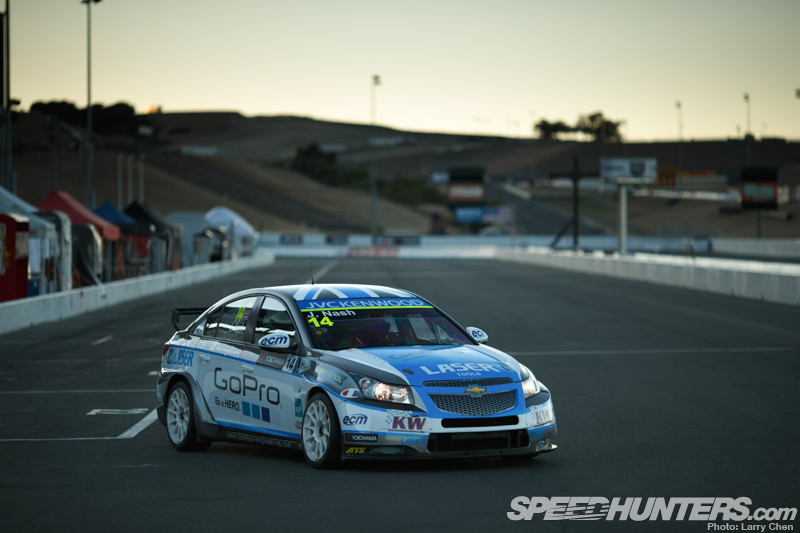 In 2011 Bamboo switched over to the Cruze which quickly proved itself as an extremely competitive touring car at the hands of RML Group, which up until last season developed and campaigned cars for the Chevrolet Works Team. 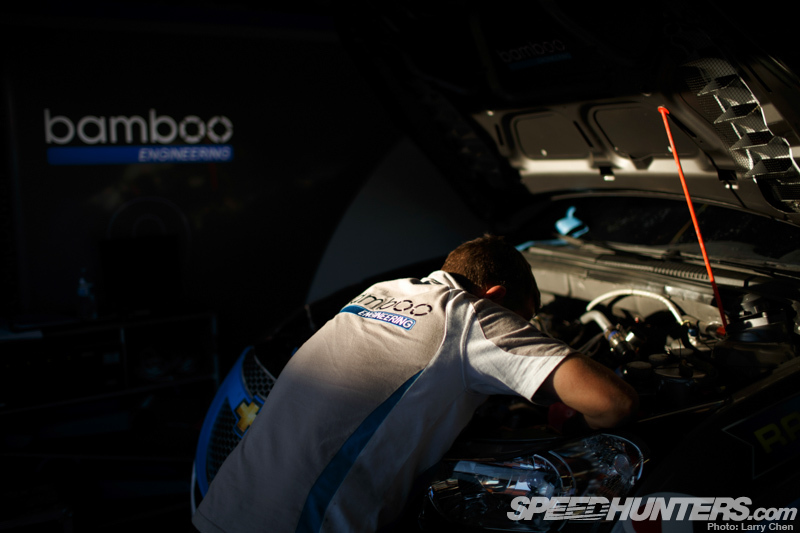 Even with less experience than some of its competitors, Bamboo Engineering has risen to become one of the WTCC’s more formidable teams. 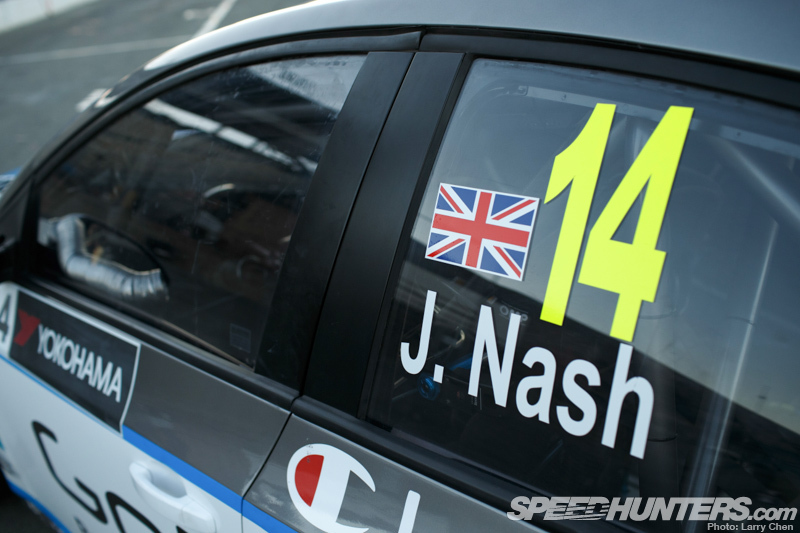 James Nash, the pilot of this particular car, has experience in several different racing disciplines, coming up like many drivers through the world of karting before moving on to Formula Fords, GT machines, and of course touring cars. In addition to that, James has also served as a stunt driver for a number of music video productions. So far this season he’s already brought home a pair of victories for Bamboo Engineering. When you look at the Bamboo Engineering Cruze from a distance, it has the feel you’d expect for an FIA-level touring car. 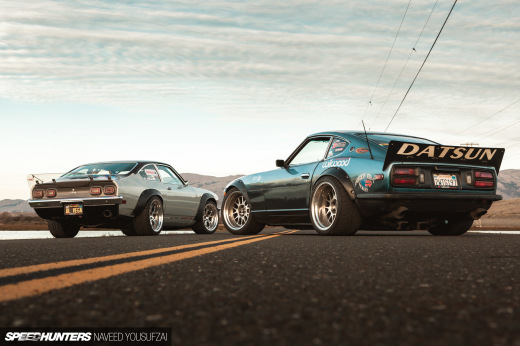 You notice things like flared out fenders with big sticky tires and body modifications to of course aid in aerodynamics. 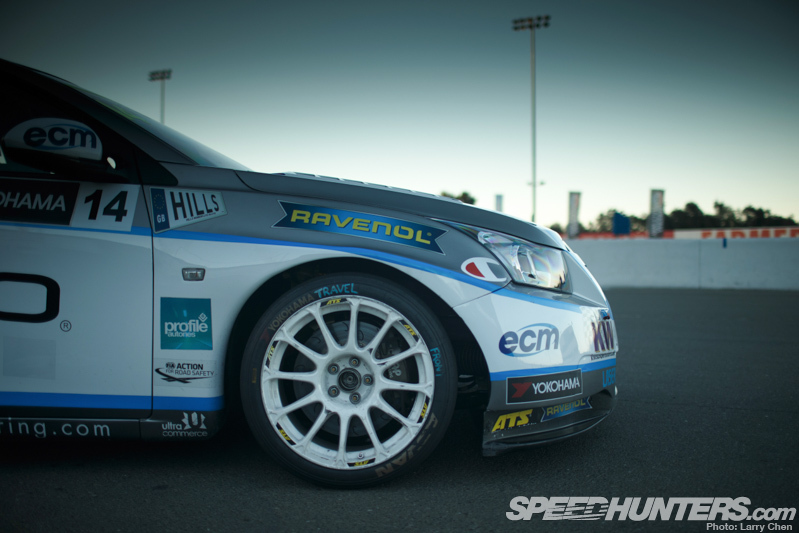 But like all the cars that compete in the WTCC, it’s still immediately recognizable as a Chevy Cruze. 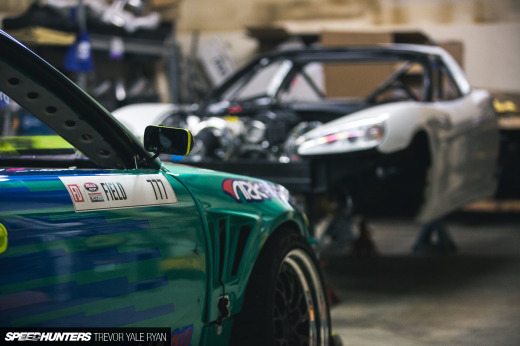 The close resemblance between these racing machines and the production variants found in showrooms across the world are a big part of what makes the WTCC so interesting, and something that I’ve long admired about touring car racing in general. As is often the case with top-level race teams we weren’t allowed to photograph the car’s engine bay, but sitting under the hood of Cruze, just like all of the cars in the WTCC is a 1.6 liter turbocharged four cylinder engine. The engine is equipped with direct injection, a trick intake plenum that covers internal trumpets and sports a compression ratio of 11:1. The result is 310 horsepower, which is an impressive figure for a 1600 cc engine – but WTCC has never been about monster power figures or brutal acceleration. Instead, the focus is on tight competition and drivers being able to extract every bit of each car’s potential. The engine is mated to a six-speed sequential transmission with mechanical linkage, which is again something you’ll find in common with every car on the WTCC grid. Seeing as the WTCC is an FIA-sanctioned series, safety is of the utmost importance and you’ll notice that from the moment you peek inside the Cruze’s cockpit. Along with all the necessary safety items the car is equipped with a finite element analysis-optimised roll cage. As you can see, the multi-function steering wheel has already been outfitted with a Sonoma course map for James to study as he gets ready for the weekend’s races. 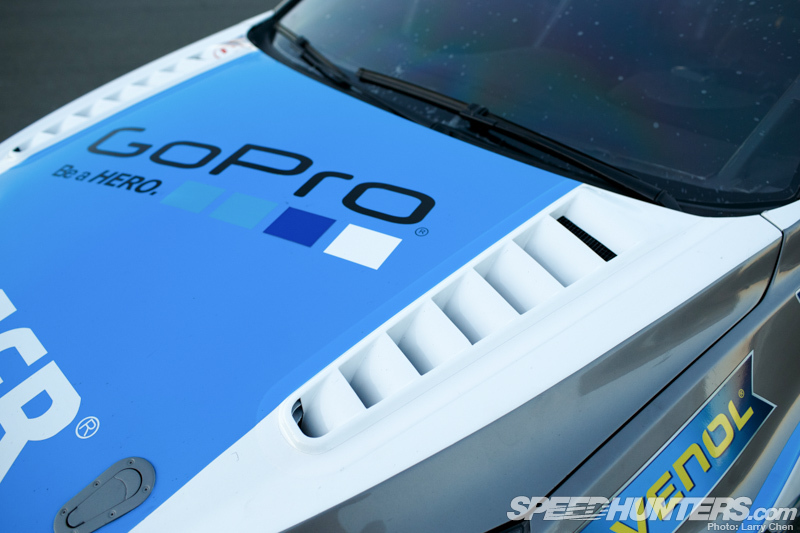 The aerodynamic modifications to the car’s body are heavily regulated by the FIA as well, with the goal being to provide as even a playing field as possible. 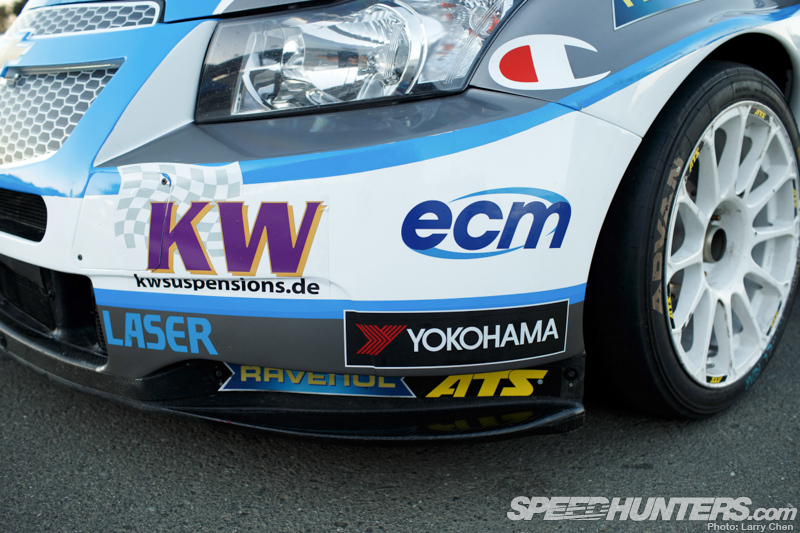 Of course as well-designed as these aero parts are, there’s no guarantee they won’t take a beating as the WTCC engages in its signature wheel-to-wheel action. 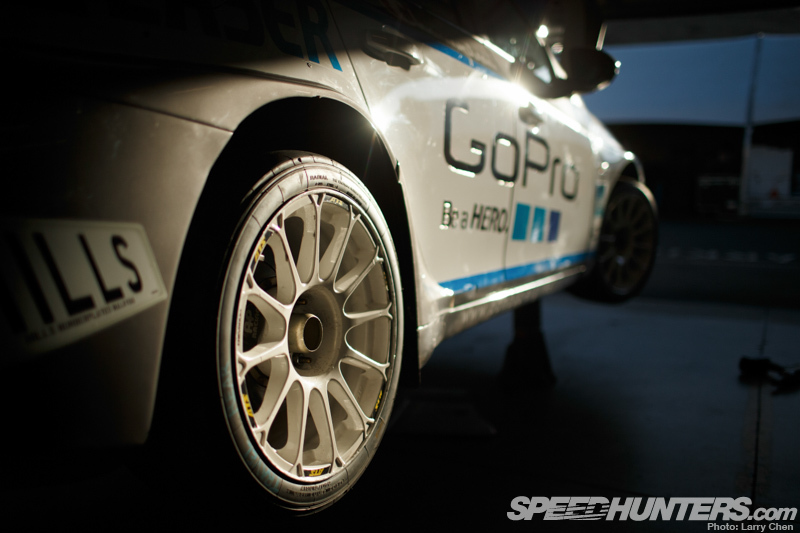 Sitting beneath the Cruze’s moderately widened fenders are a set of 17″x9 aluminum racing wheels with Yokohama racing rubber. 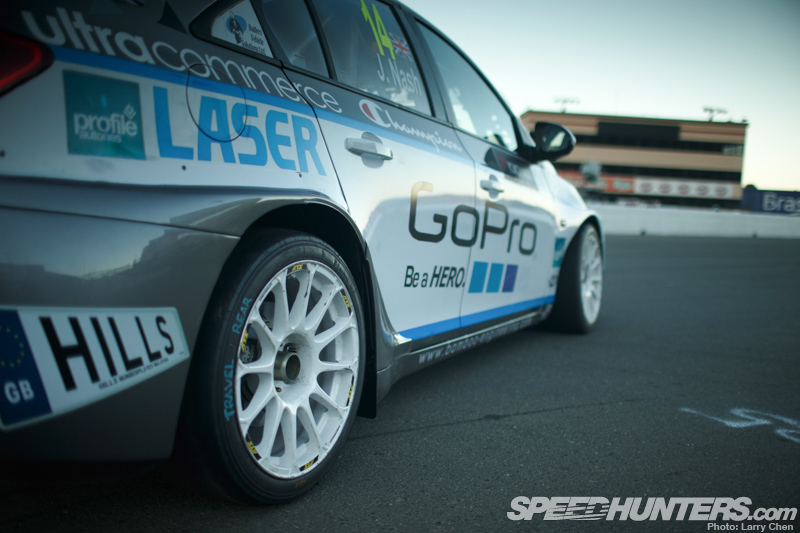 The setup delivers fantastic grip, but as you see when you watch the WTCC in action, you’ll still see plenty of sideways cornering and other antics as these guys fight it out on the track. And given the equally balanced field in WTCC, many races are won or lost in the braking zones – and to help in that department the Cruze is running six-pot AP Racing brakes up front with four-pots in the rear. As I sit here and think about the Bamboo Engineering Cruze and the action that’s about to unfold at Sonoma this weekend, I can’t help but be amazed. As an American, it seems like just yesterday the only compact sedans you’d find wearing a Chevy badge on were Cavaliers, Berettas and other cars with engineering that didn’t want to leave the 1980s. They would get you to work and back, but not much else. Today things couldn’t be different as we have globally designed machines, that are built, sold and most importantly raced at circuits across the world. It’s something you can’t help but feel excited about. And if you live in Northern California and would like to see the Bamboo Engineering Cruze run against its WTCC rivals this weekend, there’s still time. You can find all of the information about the race weekend and purchase tickets to the event right here. How much of what a team uses for racing makes it's way down into say a Chevy Cruze in the showroom? Thanks for the great reporting. I'm fascinated by how well the Cruze in particular has been doing against the competition.